The process of taking a loan can be a big headache in itself, but this headache can be reduced to some extent. There is a long process involved in getting a loan which includes regular trips to the banks for filling out application forms and some other stuff. Loan mobile app development process can easily solve these hindrances that come between our paths. They take the workload of going to the banks out of the way and make it an easy process. These apps provide end-to-end solutions like that of application approval, loan eligibility, document, disbursal, etc. at one exact place. The prominence of mobile loan lending application is on a massive rise, in fact, as per research that took place in 2015, in the United States 31% of respondents are willing to have this option of taking and submitting pictures of the key documents during the loan application process. How Loan lending Mobile App Works? The custom loan lending mobile apps opens up many doors for the borrowers which consist of private institute loans, personal loans, and lending. There will be lenders who will provide them with money. There is a simple process involved in this. The borrower will have to submit an application for the loan, which will be checked and approved by the admin in order to complete the security check. The borrower can easily manage his list of loan applications. Lenders can easily look out for Loan investment proposals (LIP) on the website page using a keyword and investment amount. Lenders will be given a chance to get in touch with the borrower for finalizing the proposal. Complete information about the borrower along with his attached documents will be mentioned for the lender to see. Investors are also given the freedom to have a look at the loan applications of borrowers. How Loan Lending Mobile Apps Benefit Businesses and Consumers? Loan Application: This is the simple process of creating a loan application that will impress the lenders to get a loan from them. Discreet Procedure: It is a piece of cake for borrowers to find lenders without any hindrances over the website. Application Management: Managing all of their applications and tracking down their loan status becomes very easy for the borrowers. More Security: Since security is paramount therefore there is an option of creating a strong password and keeping it confidential. These apps use an encrypted route which keeps all the transactions and data safe. Lenders can go through the profile of the borrowers to see if they are a safe bet or not. Various Loan options: All types of loans like that of money lending apps, personal loans, and payday loans are available for their users. Multiple users need various kinds of loans and this app looks after their users very carefully. Confidentiality: Some users want a loan for some specific reason that they don’t want to disclose and for those users, there is an option of privacy and confidentiality. Better Logs: Transaction records will always be an important part of bank user experience. Mobile lending apps generate automated transaction records for their users. It is very easy to track these records within the app. Timely notifications allow users to make payments on a consistent basis. Easy Browsing: It is very easy for the lenders to go through all the loan applications to select the borrower that suits their bill. Messaging: Lenders and borrowers can discuss their terms of the transaction after the borrower has gone through the list of loans. Trust is a basic necessity as it comes to loan lending and because of that users look out for well-reputed companies. They look to cross check the information provided by the companies on their website and once they get sure about them then only they start the process. Therefore, in order to attract users, companies must put in efforts to improve their reputation in the market. Since you are going through all the process over the phone, it decreases the load of excessive paperwork and fastens the whole process. All the basic information and documents of the borrowers and lenders are safe and sound in the app as they use the encrypted system in their app. Registration/Login: User will registered in the system by providing the personal, professional details. User can also login the app with email ID & password. Apply for Loan: User can apply for instant loan, for applying loan user need to follow the few steps like money amount selection, view EMI, GST, Processing fees and finish fund transfer. Set payback period: User will have access to choose the payback period, as per the payback period EMI, Interest will be displayed. 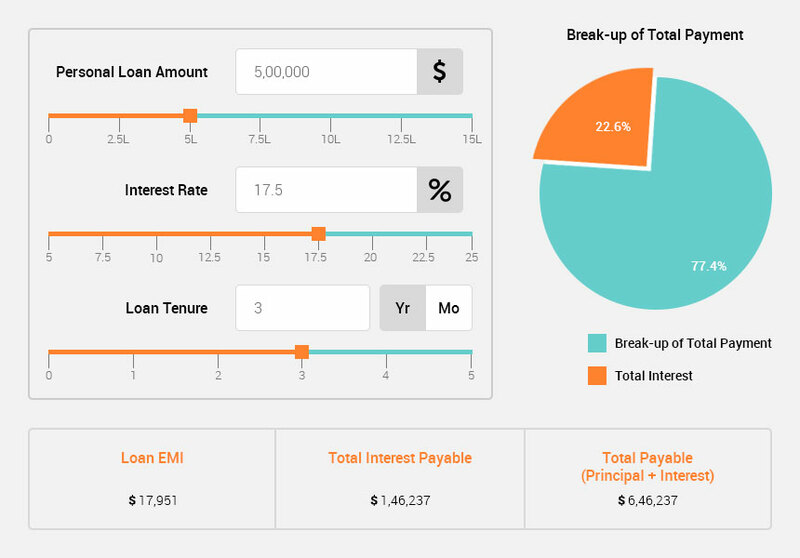 EMI, Interest calculation tool: As per the payback period EMI, interest will be calculated by this tool. User can also calculate the EMI for desire amount of loan money. Payment schedule & billing: Here user will see complete EMI schedules, due dates, completed EMI bills. Transactions: This will show the complete summary of the fund borrowed, Withdrawal, available credit limit. Payment will be separated by the types, i.e. credit card, bank transfer. The complete payment will also appear here. EMIs: This will show the ongoing EMIs of the fund have been borrowed. Once the fund will be paid would be removed from this section and added to the transactions. Each EMI will appear with complete information like as total fund, EMI amount, month, interest. Withdraw: Money can be withdrawal 100 % in one go from the credit card. The money will be transferred in your bank account and from there you use the cash with the help of ATM. Transfer payment to bank account: Allow user to transfer the payment in the registered bank account in a few minutes. User can also withdraw the cash. Discount & offers on credit cards usages: Allow user to pay by credit card for daily needs, how much user will the use the credit cards, will get more discount and offer. Reward points: User can use the reward point’s basis on the credit score, if user have borrowed money and paid on time then credit score will be strong and basis on that user will receive rewards. Variety loans: There will be multiple loan types; user can apply for any type of loan. Loans can be taken for education, home, travel, gold, wedding etc. Partnership with Banks: System will work with the banks to provide the user best services. The verification will be done basis on banks that can provide the best services. Secure: This very important feature of the app, user can use the app with no worries as the user data will safe completely. Online support: Allow user to contact for any query with support team, the support will be provided to users shortly. My profile: User will manage the profile where he can view and edit the registered information and manage password. Notification: User will get entire updates from app and admin. Login: Here, the admin can log in to the back-end using the login credentials. 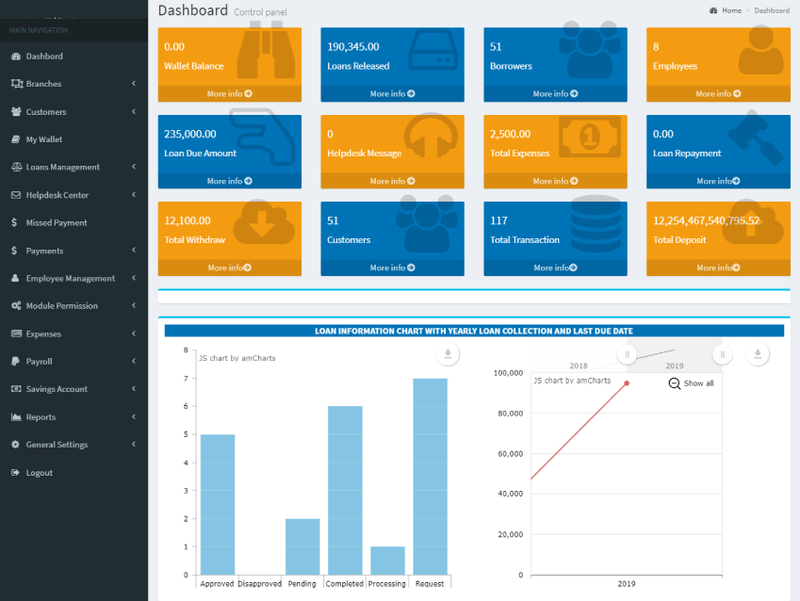 Dashboard: Admin can find all that is going on in the app here on this dashboard. It gives overall stats of app performance, like a total number of amount lended, total users, partner, total earnings, which are further filtered on the basis of data & date range. Manage Rewards: Admin will manage the rewards for users who are using the credit card. The rewards will be given to users basis on the card score Reward cab a gift or deal. Manage Discount & Offer: When the user swipes the card it would be tracked and based on the tracking/ number of spending of card discount will be offered to users and the discount will be set here. Profile Approval: Once user register in the system and a verification process will take place where he the detail provided by the user will be examined by the system like PAN number, credit score, city etc. KYC Approval: System will schedule a KYC visit from systems registered banking partners to collect users KYC documentation for final approval. System Credit Card: When user will be verified he will receive system credit card with limit from the partner bank that have approved your application. When user will apply for money user will get limit in credit card credit card can be used any time with no time validity. Manage Users: Here admin manages the app users, like the user list, can be viewed and is filtered by “Register on data & date range”. Admin may view the active users, add new users or may edit/remove a user. CMS Integration: Admin is responsible to manage the app content, both in form of text as well as Image form. Online support is the necessity of any customer today; in which user can get help from system. When user applies for support a team member will serve the customer. Bank Partner Management: System will work with bank partners so which banks collaborated with admin, will be managed here. Manage Earnings: Admin is responsible to manage earnings at this section, he can view entire earnings, income, pending money; it can also be filter by date/date range and points packages. Manage Profile: Admin is responsible to manage user profiles, and he may choose to add/delete/edit users. Loan Management: Admin will manage the loans types that have been selected by the users as the terms & conditions, interest rate will be different for all types. Security assures: Security is an important aspect of a system that attracts users as the app deal with real data of users. Security certificated will be integrated in the system to insure the app security. Cloud Storage Integration: Cloud storage will help the system to store user data with the purpose of safety & privacy. Reporting and analytics: Real-time reporting is an important part of the app for organizing data into informational summaries to monitor and analyze data and extract actionable and meaningful information that can use to increase results or performance of the app. Interest for only used amount: This feature makes the platform unique that facilitate user to pay no interest on money that not been used. If you have borrowed an amount of money and user partial fund then the interest will be calculated on used amount. Repayment: This ultimate feature allows user to repay to system where user will have access to return amount that not been used. Chatbot Support: Chatbot support is provided to the customers who allow them to call the app anytime to get an answer to their query. Chatbots sounds similar to a human and has answers to all the basic queries of the users. Loan Calculator: Information related to monthly payments, interest rate and the down payment is provided to anyone who is looking to expand his commercial properties. Online Support: This feature is essential for the users as they can extract their information at any point of the time from the online support team. Team Members are always available to provide help to users through online support. Bank partner management: In here, the system of the app works together with bank partners in order to handle the admin’s collaborated banks from the system. Cloud storage integration: This feature will prove very beneficial in order to store the data of the users to take care of the privacy and security of them. Dashboards: Dashboards keeps you updated about everything that is going on in your app. All the basic stats like total app users, total amount lend, partners, total earnings and can easily be separated in the basis of data range. Reporting & Analytics: One of the important aspects of this kind of app is real-time reporting as it allows you to organize the data to help in monitoring plus analyzing data that will also extract meaningful information to produce better results for the app. Push Notifications: These notifications keep you updated with all the latest activities of the app. They remind you about any offers or important stuff that should be brought in your light. Multiple currencies & language Support: These options are very much necessary as people from different countries have different currencies and are comfortable with different languages, so in order for them to access these apps, it should support multiple currencies and languages. CMS Integration: Content in the form of both image and text can be managed with the help of CMS Integration. What is the Process of Developing a Loan Lending Mobile App? Ideation: The starting point should be the type of loan you are ready to facilitate with the mobile app. It will reduce the complexity associated with the functionality of the mobile loan app. Potential competitors can also be seen quite clearly with the help of this process. Research & Development: When you do your research smartly, it is bound to give you the benefits you deserve. Do a complete analysis of your competitors and look after their drawbacks. Pick those drawbacks and rectify them to become better with each passing day. 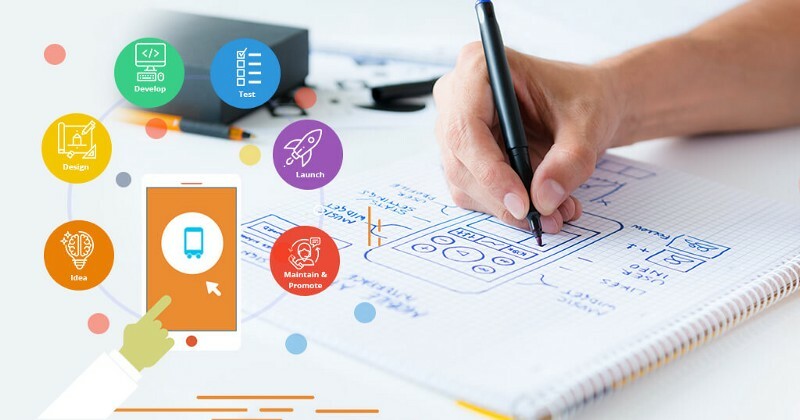 Design & Development: App designing is a crucial aspect of an app, as that is what makes it user-friendly and it is a great way to enhance user engagement as well. Design your app in a manner that users find it easy to use and are bound to open it again and again. Testing: This is the step that will make sure that your app ready to be used. Checking its functions before launching it is very necessary and it is carried under the testing process. All the bugs and glitches if found can be rectified. App Launch: Once the app is ready, it is time to get started with its launch. Prepare a fine strategy for your app launch, so that it gains the attention of everyone upon its launch. Support & Maintenance: It is again an imperative aspect that needs to be taken care of. So once your app is launched and out there in the app stores, it doesn’t mean that your job is over. An app requires proper support and maintenance to last longer in the market. 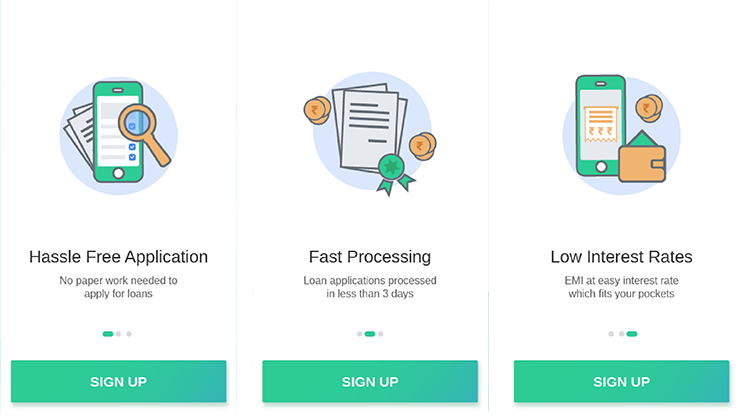 What Development Modal to Choose for Your Loan Lending App ? Hiring your own team: This is the most obvious and conventional way of doing any particular stuff but it requires a lot of time to assemble the most skilful and talented personnel for your project. Salaries of these people are also a matter of concern. On top of that, there is no surety that these employees will be able to gel well together to achieve what you are looking for. So, even though it is a promising aspect but comes with a risk. Outsourcing to a Freelancer: Freelancers can be afforded a little easier than the above-discussed team. But the problem of finding a freelancer that is brilliant at all the comprised stages of app creation is very much evident. The additional headache would be that of runaway freelancers. Readymade app builder: Ready-made app builders can be used for some specific niche but they can’t always be customizable. You will need a lot of money to personalize them according to your needs. And at last you will have to hire a team for looking after it, so you will be back to the drawing board. Mobile App Development Company: The safest and the most efficient idea would be that of hiring a mobile app development company. Since many app developers are already indulged in a firm, therefore gelling with other employees won’t be a problem for them. They will serve you whatever you are looking for in comparatively lesser time than all the other options. So you have taken care of all important aspects that go in the making of an app, but as it comes to a loan lending mobile app, it is required to go a step further and ensure that while the development of the app you have the support and guidance of a legal adviser, a financial adviser, a banking partner, marketing firm and a PR company. 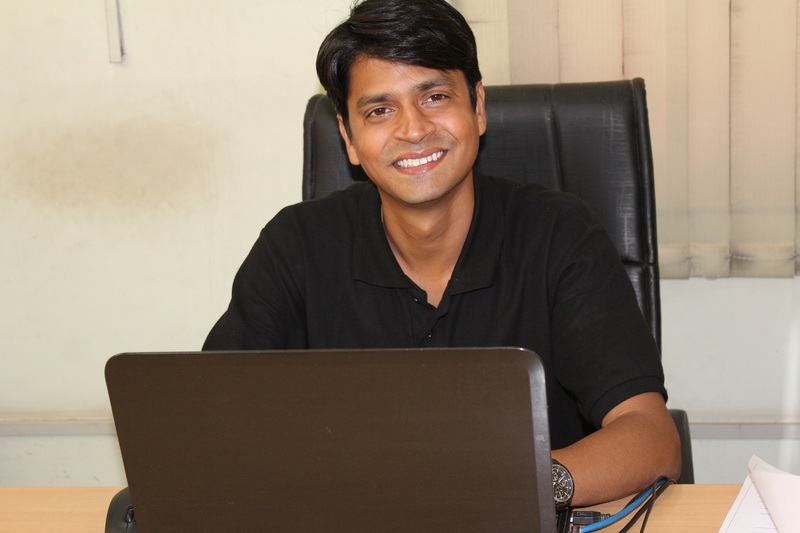 Without them, it is impossible to come up with a brilliant and feature-rich mobile app. 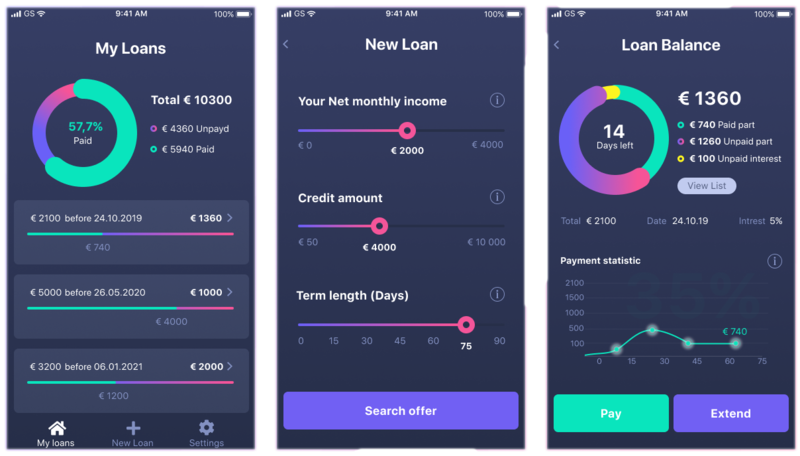 After all, loan lending app involves the interference of government as well, hence having legal and financial advisor is imperative for your app, while the banking partner will be the very essence of the app. As marketing & PR firm are concerned, well they are certainly crucial for the success of your app among the target audience. 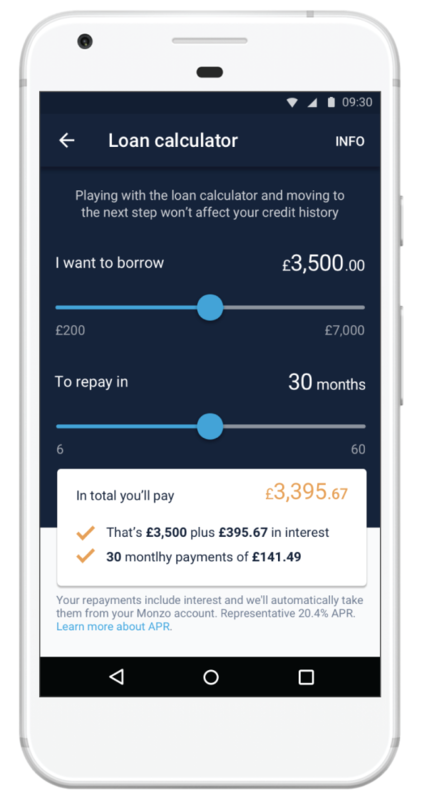 How Much Does It Exactly Cost to Develop a Loan Lending Mobile App? 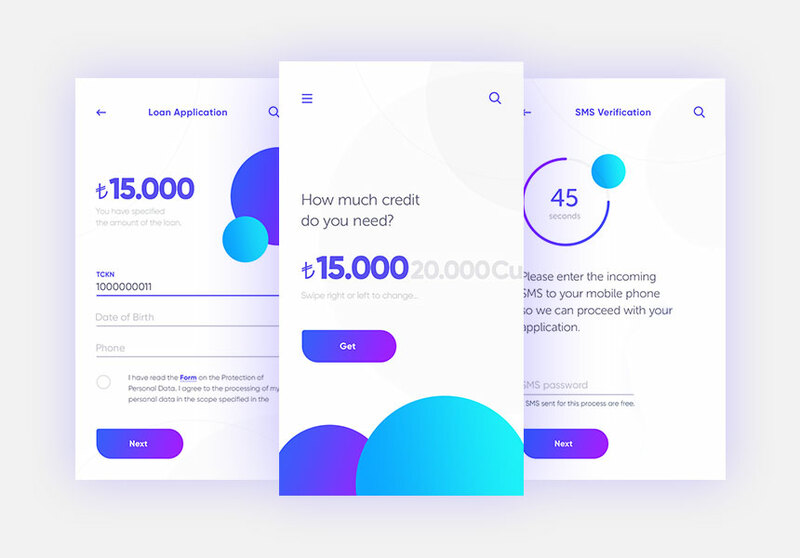 If you are looking to get a loan lending app you will require a batch of designers, skilled developers, other major experts, plus a lot of hours to spend. $20000-$30000 would be the overall cost to develop loan lending mobile app in South Asia completely. So, don’t wait for a second longer and contact the best available app developers out there. Getting a loan lending app developed will act as the achievement of that missing piece in your jigsaw puzzle.